June 21, 2013 — A contractor vetted a contractor to work for a contractor that is contracted to the U.S. National Security Agency – all for the security of U.S. taxpayers that the contractors are being paid to sometimes apparently surveil. This dizzying U.S. contractor cluster f#%k is becoming familiar routine characterized by a maze of complicated twists and turns once claimed to be a cost-saving measure. In reality, and this is nothing new, the multibillion-dollar government outsourcing industry has become an opaque wall of private companies frequently led by former U.S. officials cashing in on their direct lines to policy makers and procurement officials. The latest: Edward Snowden, the mid-level employee of NSA contractor Booz Allen, appears to have been poorly vetted for his high-level security clearance by contractor USIS in 2011. USIS handles a large amount of background checks for the U.S. Office of Personnel Management (OPM) and received $200 million this year for its services. At a Senate hearing on Thursday, the inspector general of OPM disclosed that USIS is under investigation for faulty vetting practices. “Yes, we do believe that there – there may be some problems,” the IG Patrick McFarland said in response to questions from Sen. John Tester, D-Mont. The hearing skated about the issue of Snowden — a prime suspect in what may be the largest U.S. security leak in recent memory — but the purpose of the meeting was clear: Tell us how the hell a guy like Snowden ended up with high security clearance and had seemingly open access to classified information. McFarland also said at the Senate hearing that the entire system of relying on contractors to vet contractors lacks hands-on supervision and threatens the nation’s security. According the Reuters sources, Snowden may have fluffed up his resume a touch. His CV cites computer-related classes at Johns Hopkins University, a Tokyo campus of the University of Maryland and the University of Liverpool in Britain. There is also the claim that he would receive a master’s degree in computer security from Liverpool sometime this year. No doubt, defenders of NSA’s sweeping surveillance program will play up Snowden’s possible resume discrepancies to discredit the 29-year-old’s security leaks, which revealed NSA’s sweeping dragnet of all things digital and telephonic relating to U.S. citizens and overseas terrorist suspects. But if USIS is found to be screwing up on vetting people for government security clearances, it will add cannon fodder to lawmaker calls for curtailing the outsourcing of government security personnel. Those lawmakers will be climbing a very tall wall of powerful corporations under U.S. contracts. Many have long been revolving doors for influential government officials going back and forth between the private and public sector. They know the game very well, and can fight back with generous campaign contributions and lobbying muscle. USIS is a classic piece of work in this regard. Originally formed by former employees from OPM’s office of federal investigations when their division was privatized in 1994, the company was sold to the politically wired private equity company, the Carlyle Group within three years. At the time, Former high-level officials with Carlyle included former U.S. Secretary of State James Baker, former U.S. Secretary of Defense Frank C. Carlucci and former U.S. President George H. W. Bush. 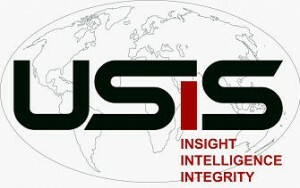 Carlyle’s purchase was just in time for USIS to diversify into war contracting during the occupation of Iraq. It didn’t take long before USIS found itself being investigated for alleged corruption, contract fraud and the killing and torture of Iraqis. The investigator, U.S. Army Col. Ted Westhusing, was unable to complete his investigation. He was found dead in Iraq by gunshot wound in an apparent suicide. Over the next few years, Carlyle dressed up USIS and then sold it to the private equity firm, Providence Equity Partners, which in turn folded USIS into another personnel company, HireRite, and corporate investigator and security firm, Kroll. The latter trio operates under another corporate mother ship, Altegrity Inc. Good luck in sorting out the USIS contracts. Oh, and the company that Snowden last worked for? Booz Allen. Carlyle plunked down a $910-million investment in 2008 to buy a majority stake in Booz Allen’s government consulting business and then went public with it in 2010.